Handtrucks2go is proud to be the first website to offer a Design it Yourself Sevice Cart, with online ordering! 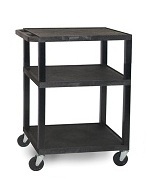 Starts out at just $89.99 for the base model! 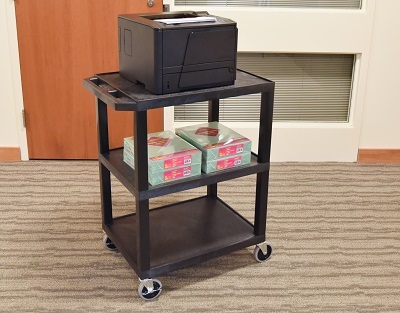 Build your own Tuffy Multi-Purpose Cart according to your own specifications. 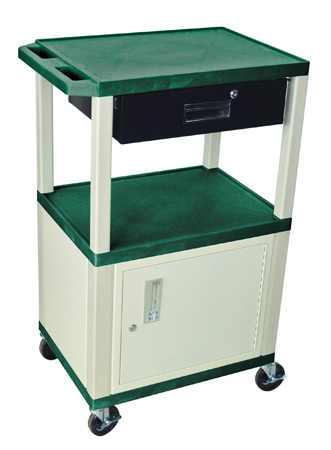 Can serve as a audio visual cart together with the electric option. 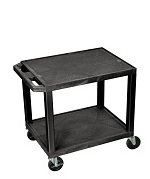 These service carts measure 18" x 24" and come in various heights. 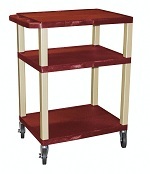 Choose from 12 shelf colors, 2 or 3 shelves, 4 heights, 3 leg colors, optional electric assembly(allows you to use cart as an AV cart), and cabinet options. Simply follow the steps below selecting your choices as you scroll down the page. 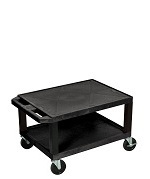 Looking for something more industrial? 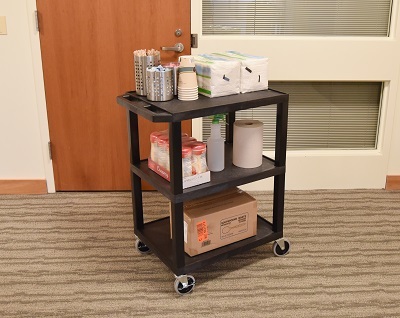 Have a look at our Build Your Own Utility Cart. Cabinet option not available with 15 1/2" H model. Made from 20 gauge steel and includes lock with 2 keys. 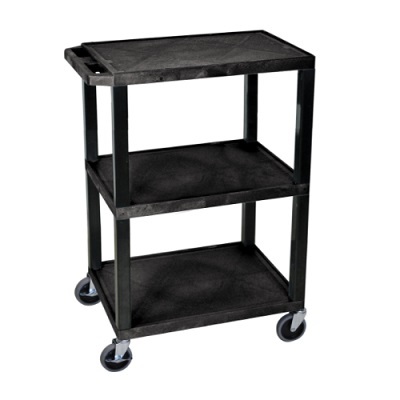 3 Outlet Url listed Electrical Assembly with a 15 ft. Cord, sits underneath top shelf along the length of cart. If you are selecting an optional cabinet, do not choose leg color, as they will automatically be the same color as the cabinet. Only Available on 34" H model and taller. Drawer with Lock and key. The finished product looks good, but to be honest assembly was made to be a bit tough due to limited instructions. We ordered the drawer and cabinet add-ons, and received no directions to assemble/attach to the cart. Also, the drawer side edges on all 3 ordered were bent, which did not allow the drawer to attach and slide through the metal bracket. It was hard, but with some bending of the black edge I was able to make it work. Lastly, the screws included to attach the drawer were too small for the holes of the drawer being attached. I had to find enough larger screws of my own in order for the screw not to fall inside the hole, otherwise it would not hold/catch. Advantages: The end product is functional and sturdy. Disadvantages: Instructions were frustrating to say the least. The add-ons such as drawer and cabinet needed instructions. The edges of the drawer were bent and needed to be hammered to unbend and make wider for the drawer to slide with mechanism. The screws included with the drawer were too small for the holes of the drawer so when attaching the screw did not fulfill its purpose, as it did not catch/hold the drawer in place.